The Next Big Thing: What is the working title of your book? Eric Nelson: The Walt Whitman House. It’s being released by The Crumpled Press this month. TNBT: Where did the idea come from for your book? Eric: This came from a few places. I started off where I wanted to write something about the 1991 Mischief Night Arsons down in Camden (New Jersey) but then it turned into something bigger where I wanted to write a direct critique on how artistic scenes are ghettos in the classic sense of the word. I personally revel in writing teenage characters, it’s a blast figuring out how they speak and react to situations. I would speak about the symbolism of the climax, but it would give too much away. 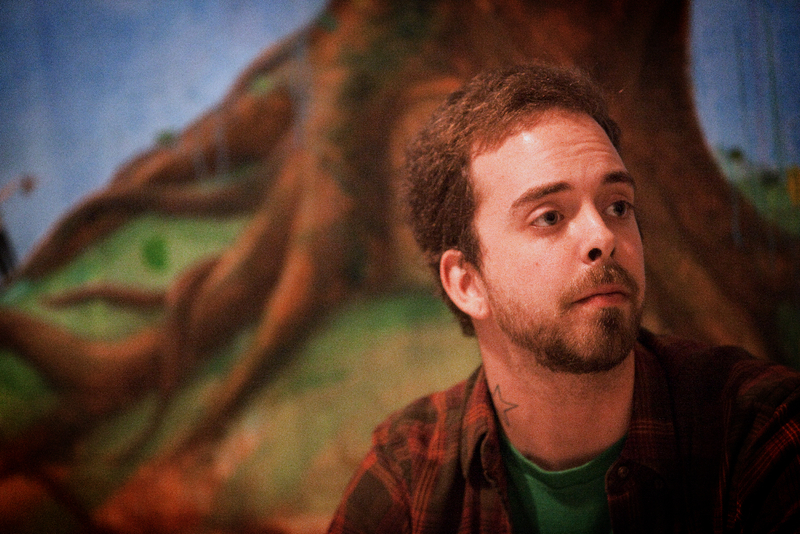 Eric: I guess literary fiction, but I hesitate to say that because it sounds exclusionary. Eric: I would pluck kids right off the street like Larry Clark did in “Kids” but for the role of the older brother I’d cast Chief Keef, the rapper, since he’d probably be more reliable to work with than DMX. Him or the late Patrice O’Neal. TNBT: What is the one sentence synopsis of your book? 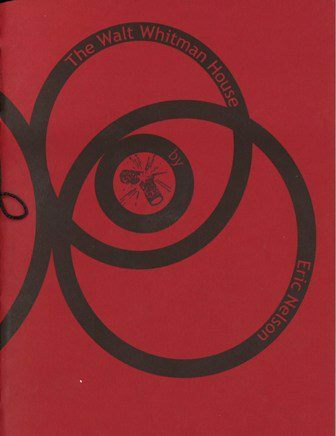 Eric: The Walt Whitman House is a fusion of youth, poverty, and urbanity reacting within the insolvency of early 90’s American culture and the state of contemporary American literature in 2012. Much thanks to my publisher for writing that. Eric: The Walt Whitman House is being published by The Crumpled Press which is based out of Brooklyn. They do these gorgeous hand-bound books that aren’t relegated to just one genre and garnered some well-deserved press lately. Lauren Belski’s short story collection was published by them last year and I’m psyched to be working with them. TNBT: How long did it take for you to write the first draft of your manuscript? Eric: I did a few weeks of research in October of 2009, going through old newspaper articles about statistics, what happened on Mischief Night in 1991 and the subsequent aftermath. I didn’t actually start a first draft until 2 ½ years later and then I set it down after only a few pages. Spread out it took three years, but had it not been for that it would have been several months. Mind you the story is barely 4,500 words. Eric: I guess Hubert Selby Jr.’s Last Exit to Brooklyn, or else Celine’s Journey to the End of the Night. That part where the character Robinson tries to kill the old widow with fireworks but blinds himself instead is amazing. Celine was also kind in writing children in that book. TNBT: What else about your book might pique the reader’s interest? Eric: Scott McClanahan, who is one of the absolute best fiction writers out there right now said I “write the type of dialogue you don’t see out there anymore,” which is super nice to hear, I’m grateful for that. The only other thing I could add is that the story itself isn’t a moral parable. Morality is good, but Eric Nelson is for the children. Maggie Craig wrote and published The Narrows and runs Papercut Press, a small press out of Brooklyn, New York. Chiwan Choi is a Los Angeles poet whose book Abductions was published in April 2012. He is editor-in-chief and publisher at Writ Large Press. If you're in New York, the release party for Eric's book is tomorrow night, Thursday January 10th, from 6:00-8:00pm at Treasure & Bond, 350 W. Broadway in Manhattan.